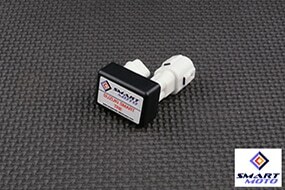 The o2 sensor is an electronic sensor located inside the exhaust and it is used to determine if the Air/Fuel ratio of an engine is rich or lean. 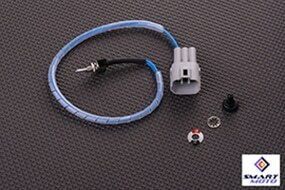 The o2 sensors of all motorcycles are limited to catch the emission standards and in some specific throttle positions will try to lean or richen the mixture to catch the stoichometric Air/Fuel ratio. This is good for the emissions but not for the performance and smoothness of the engine. The exhaust valve system is used by the manufacturers to lower the noise levels of the exhaust and to control torque in the low RPMs. The exhaust and the servo motor system is incompatible with race cans and full exhaust systems because it is part of the standard exhaust. 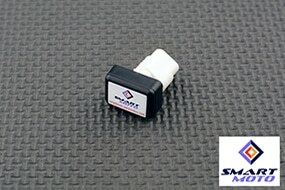 SmartMoto has created a new Servo eliminator that has the most compact design available in the market. 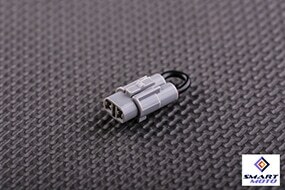 We do not use wires and we enclose the circuit and connectors together in one box. Also, we give special attention to durability; we enclose the whole product into special high grade resin like the most motorcycle manufacturers do in similar applications. 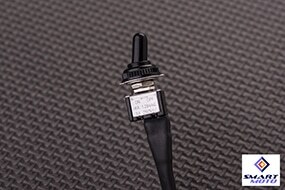 If you disconnect the Servo motor from the wiring harness, the ECU will recognize it and you will get an FI malfunction code, our electronic Servo Exhaust Valve Eliminator will fool the ECU that the Servo motor is in place. 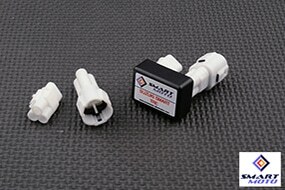 Our CoolAIR switch is a smart manual radiator fan switch. 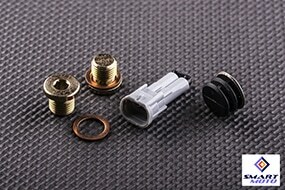 It connects to the radiator temp sensor with OEM sealed connectors and use the standard radiator fan to prevent the rising of the engine temperature. 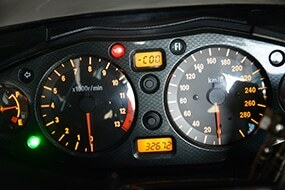 When you ride at low speeds or when waiting on traffic you only need to turn the switch on to keep the engine temperature at low levels. The CoolAIR switch has intelligent design and even when it is turned off it maintains the standard radiator fan operation, the fan will be turned on normally when the coolant temperature reach the pre-set level. 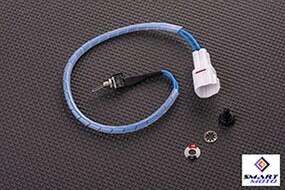 The CoolAIR switch comes with fully waterproof installation kit and can be fixed through a 6mm hole on the motorcycle or at any fixed point with a cable tie. 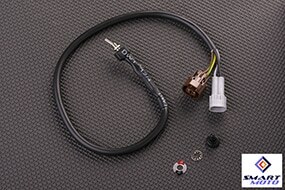 It is connected directly to the wiring harness with OEM sealed connectors that fit to your motorcycle. 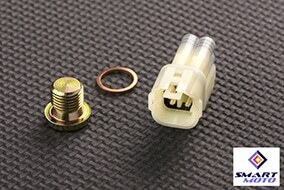 • It keeps the engine temperature at the standard level and protects the engine from overheating on traffic. 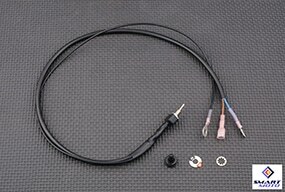 • Perfect when working on your motorcycle and you require it to work on idle like on TPS adjustment. • Intelligent design that keeps the standard radiator fan operation when the CoolAIR switch is turned off. 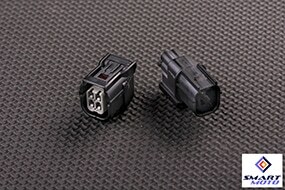 We list two models of the switch with the 4 way and 6 way connector to cover all Suzuki models. 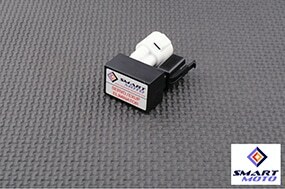 • Adjust the throttle position sensor. 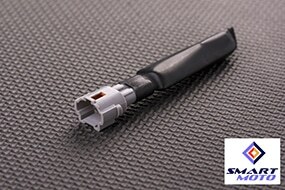 Our dealer mode tool comes with new waterproof design! 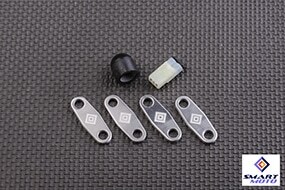 The tool can be fixed permanently on the motorcycle with our fully waterproof installation kit through a 6mm hole on the fairings or at any fixed point with a cable tie. 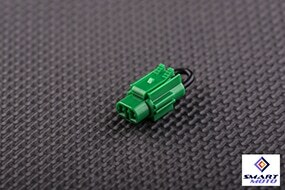 The tool connects to the wiring harness with a completely sealed connector. 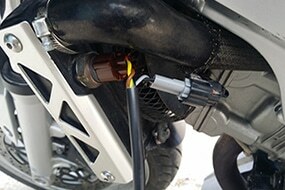 The most of the newer motorcycles come with a side stand switch to cut the ignition when the side stand is open. 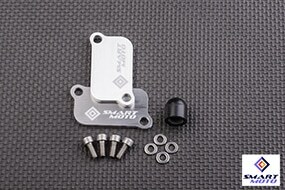 In some situations it can cut the ignition when you go over bumps with your enduro or supermoto or you go off-road with your motorcycle, also it wont let you start the engine if you have removed the side stand for trackday use. • Remove the entire side stand for trackday or off-road use and reinstall it again quickly when you need to go back to road. The PAIR system feeds fresh air into the exhaust to aid in the combustion of unburned fuel. The system was designed to improve emissions, but it will cause problem with race cans or many aftermarket cans. 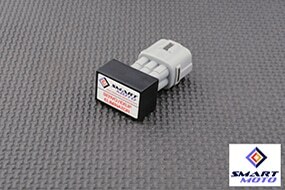 If you disconnect the PAIR valve from the wiring harness the ECU will recognize it and you will get an FI malfunction code, our electronic PAIR valve eliminator will fool the ECU that the valve is in place. 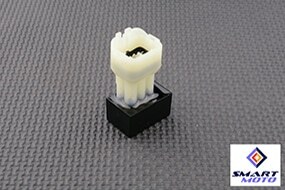 Suzuki have retarded the ignition timing of the first 4 gears on the most of its latest models. 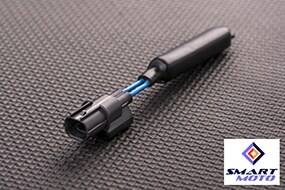 This restriction is applied by Suzuki to limit the available torque in low speeds for road safety. Our Smart TRE bypasses this restriction and gives the optimal map to all gears for maximum performance.